Pre heat your oven to 375 degrees. 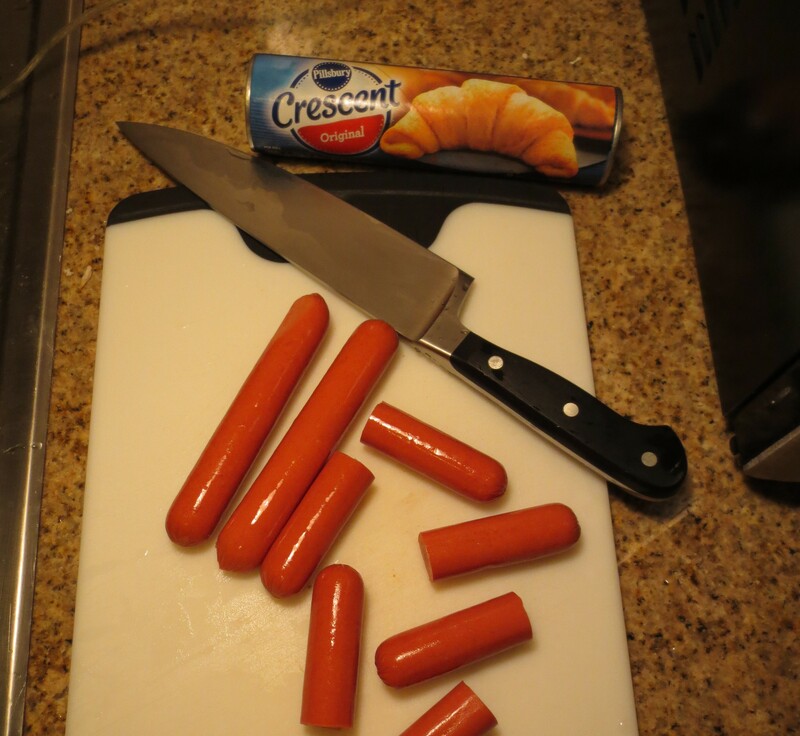 Cut the hot dogs in half. You can leave them their normal size if you’re looking to make a meal rather than a snack. 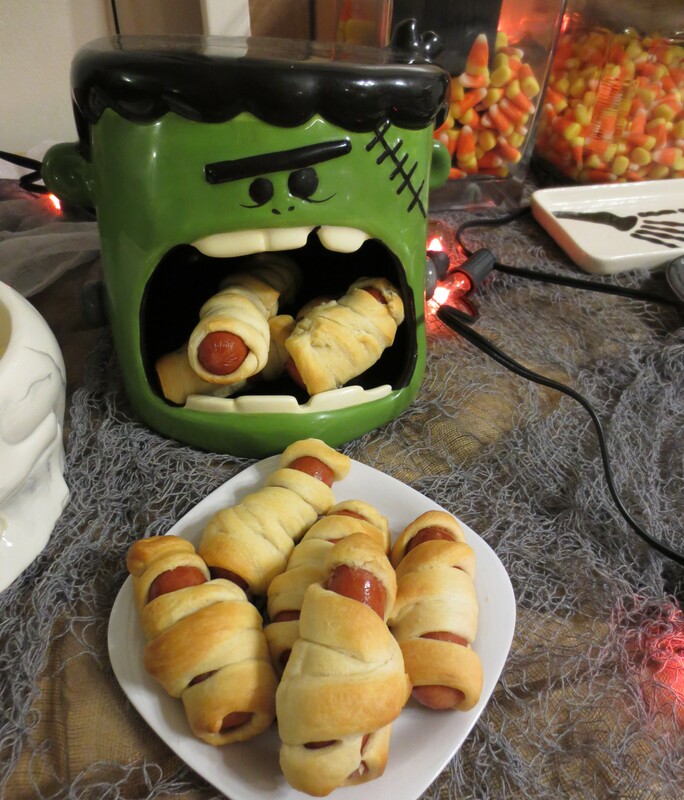 Roll out the crescent roll dough and cut into strips. 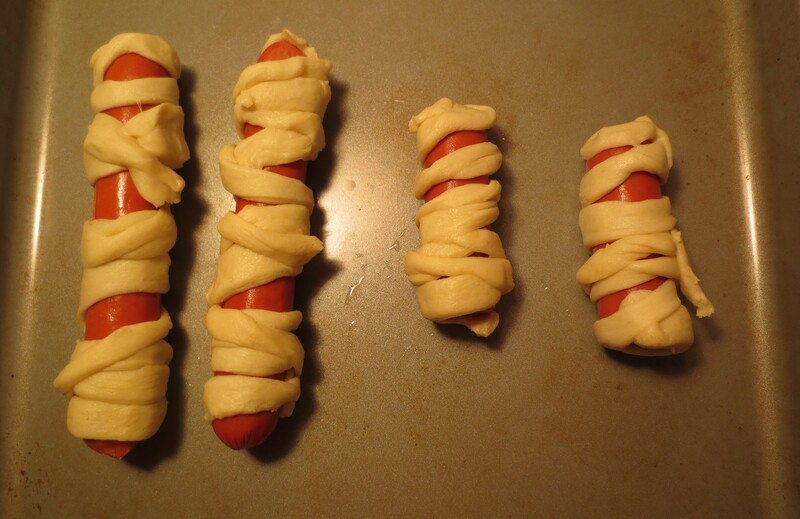 Wrap the hot dogs in the strips of dough, haphazardly to make it look like a mummy. Place on a baking sheet and bake for 8-12 minutes, or until golden brown. I serve them with a few condiment options, like ketchup and different kinds of mustards. Cut the crescent dough into strips. 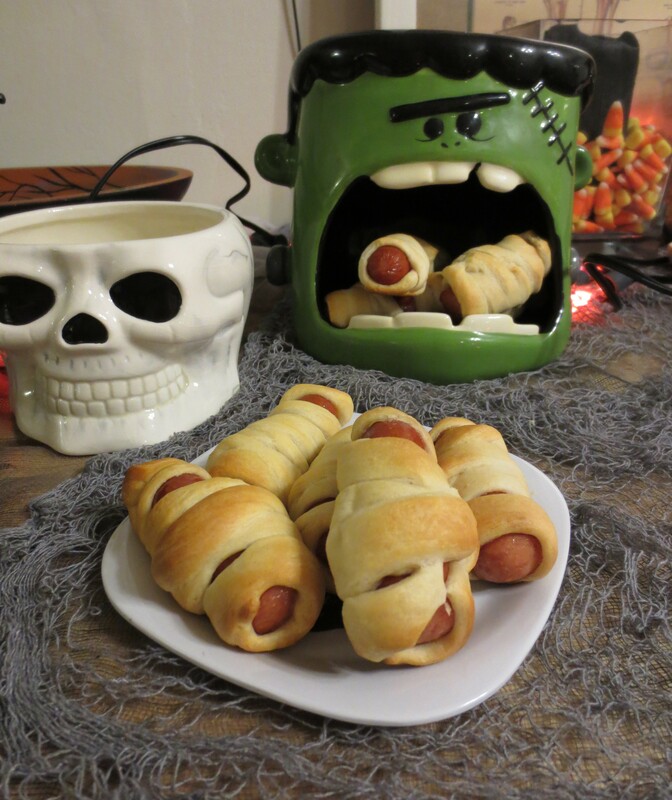 Wrap the hot dogs in the dough strips. Place on a baking sheet and bake for 8-12 minutes or until golden brown. Serve with condiments (ketchup, mustards, etc).